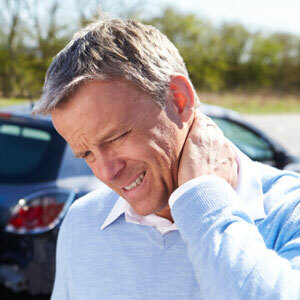 Did you know that even low-velocity car accidents can result in unseen spinal problems? Even if you do not initially experience pain, symptoms can show up months later. If you are experiencing health problems as a result of an automobile accident, in most cases your car insurance will pay for your care in our office. When you come in for your first visit, we will determine the specifics of your policy and the process of working with your insurance company. Consider us your concierge of car accident care. In Oregon, your car insurance must cover $15,000 in medical treatment automatically. Do not waste that coverage on ineffective, expensive, or drawn-out procedures designed to eat up the coverage and end up leaving you only partly healed and susceptible to a relapse. Spend it wisely. We can help get to the root of the problem and get rid of the scar tissue that developed from the accident. In the U.S., the average car accident victim is treated for seven and a half months — some less, some more but that is the average. Even that low-velocity “bump” that did not make a dent in your bumper could have made a significant shift in your neck, shoulders, rib cage, low back, even the right ankle for over seven months. Our patients have shown they get well 40-60% faster with our unique approach. It is our goal to get you better as quickly as possible and help you stay that way. We specialize in caring for patients who have been in auto accidents. Our clinic offers a high level of expertise in this area. If, however, we are unable to get you the results you need, we will happily refer you to appropriate medical professionals who can.